* the kids finding their favorite "lines that stick to them". It was fascinating to hear what stuck to them and why. I learned more about these kids doing this than I had all year. * listening to their conversations. The book took on a life of its own. The kids didn't need us - they often directed their own conversations! But what I really want to celebrate is skyping with the awesome Natalie Lloyd herself! I was so nervous that day! Her book was just so amazing, I didn't know what to expect. Natalie quickly put me and the kids at ease and it was so fun talking to her. We loved meeting Biscuit. The kids couldn't stop talking about her sweet Southern accent. Particularly because their teachers' fake-southern-accent-said-in-a-Chicago-accent was not very good! But what was the coolest thing is seeing Natalie talk to these kids. We had many kids come up and ask her a question or tell her a line that stuck to them. She was so genuine and kind to each one, she quickly put all of them at ease. The kids went up, at first nervous, giggly and had trouble speaking, to being comfortable and ended up having genuine conversations. It was such a special morning. I hope all authors know and feel how important this is to students. And to their teachers! I don't think these 4th graders will forget this experience for a long time. Thank you to Natalie Lloyd! Celebration #2 - I made my hotel reservations for NCTE tonight! I'm super excited about this conference. I've heard such wonderful things and I'm very grateful to have the opportunity to attend. Celebration #3 - 3 1/2 days. That's all that is standing in front of me and summer break. I love working with our kids, but I love summer too! I'll write about it in my SoL post this Tuesday! Hope you had a wonderful week and have signs of summer around you! The bas-relief cut-paper collages are amazing. I spent more time than I want to admit pouring over the homes, imagining what it would be like to live in one of those homes. Which ones do I want to visit the most? (the white towns on Astipalaia Island, Greece) Which ones look like the most fun to play in? 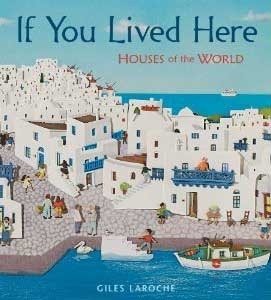 (the adobe homes would be fun to lift the ladders, the Venetian palace so you can step out onto your boat, or the chateau in France to run from bridge to tower) I think the conversations you would have with students would be so rich as they constantly refer back to the text for evidence for answers. Spin a globe and place your finger randomly down... what home would be used in that area of the world?? 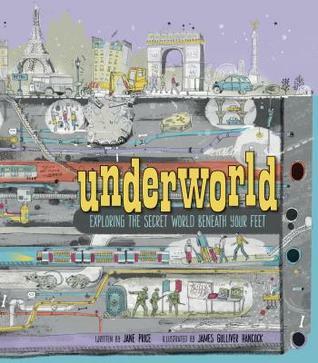 I think this book would pair well with Underworld: Exploring the Secret World Beneath Your Feet by Jane Price. Underworld is a much longer, more in depth text, but closely looking at a few of the underworld dwellings would be a great comparison. Today I have on one of my favorite pairs of shorts. They are new to me this season, which makes them kind of exciting. I say one of my favorites because they are so good, I bought them in 3 different colors. That's what I do when I find shorts, pants, capris, ankle length, any kind of pants really, that fit that well. I buy in multiples. Because when you find something that works and something that you love, you stick with them. It doesn't matter where I bought them or what size they are or what colors I bought them in. Just know that they are the best ever. For this year, anyway. My next favorite pair are another pair of skinny jeans. Same name. But different feel. These stretch a little too much. After a few hours of wearing them, they are too baggy. Now, it would be nice if they were baggy when I put them on, that would mean something else! Then I have another pair of skinny jeans but they are over a year old. Before they put the spandex in. It takes a few hours of wearing before they start to give and feel more comfortable. I bet everyone has pants like these. Those pants/shorts that are just amazing to wear. Others that are comfortable but just don't hit that sweet spot like the others do. And then there are some you put up with never feel just right. It's kind of like reading, isn't it? There are those books, that just fit perfectly - the ones that are the perfect length, the perfect story, that make you feel something and you can't take them off, I mean, put them down. I love when this happens and it's a series or it's a really good author that has written more. Because that means I get more of those! Then there are other books, that are good. I enjoy them. I enjoy talking about them. But I'm ready to move on to the next one. Then there are those books that are harder to get into. You have to read them for a bit before you get the feel for them. Some, are uncomfortable for the whole time you're with them. I hope you find some books that fit perfectly this summer. I hope our students find some of those books too. 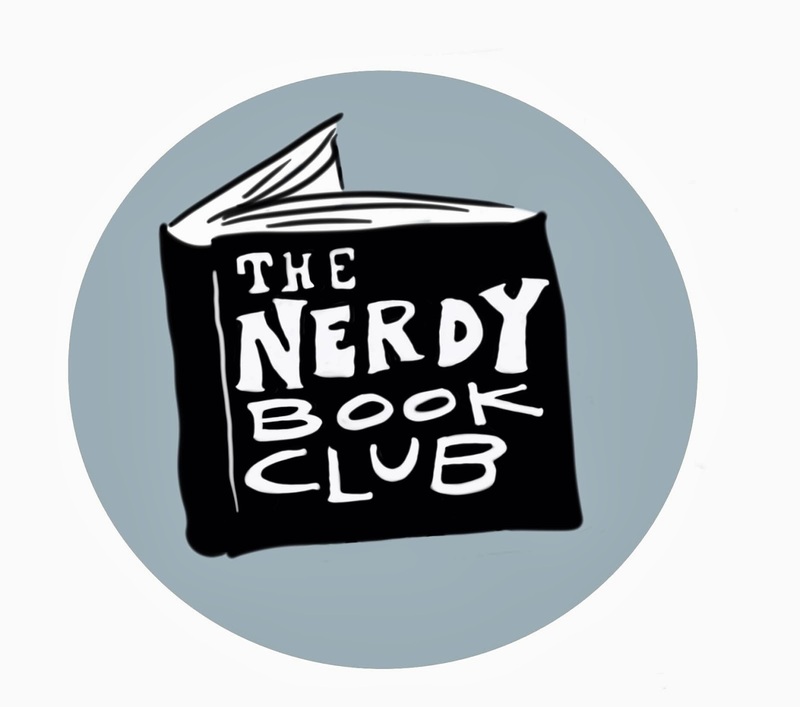 It's the Memorial Day weekend post, which means more books! Well, I thought it would mean more books, but with our great weather it meant got all the planting done and the reading suffered a bit! That's ok, after our winter, it's great to be outside! I loved seeing Stillwater's story continue. Muth does a great job bringing the characters back from Zen Shorts into this new book. I really enjoyed seeing Koo, the young panda from Muth's newest book Hi, Koo!. I loved Koo's speaking in haikus, I loved the message and theme Stillwater teaches. I enjoyed reading the Author's Notes at the end of the book. Some of our teachers have noticed that the haikus do not follow the traditional rule. I like that Muth explains this and seems to have kept with more of the Japanese culture. It was also interesting to note the cup-keeping tradition! Will have to look for Zen Ghosts next! 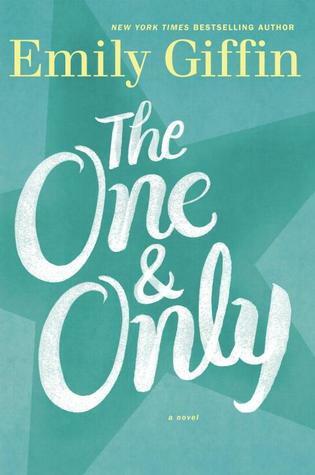 Cute story about friendship for young readers. Informative book about the Great Pacific Garbage Patch. I had no idea this existed. I knew the dangers of plastic being in the ocean and knew there were steps we are encouraged to take to make sure this does not happen, but I did not know what has already happened. I think this would be a great mentor text to show how the scientific procedure can be used in writing. It just amazes me what dogs are capable of. This book details what these amazing creatures are capable in order to help serve the USA. Using their keen sense of sight and smell, dogs are being used in the military as Military Working Dogs, helping find explosives, ammunition and enemies. It was interesting to me to read about them because I've seen several presentations with K-9 dogs. Many of their training procedures are the same, often because a dog that is being trained to be a MWD, can sometimes find themselves working with law officials upon "retirement" or if they weren't of MWD caliber. I thought this was a very appropriate book to read for Memorial Day weekend! This book is also on Illinois' Caudil and Bluestem Award lists for 2015. I think this would be a great book to use with a variety of grade levels. This book completely took me by surprise. It was on my radar, but not quite in my immediate TBR pile. 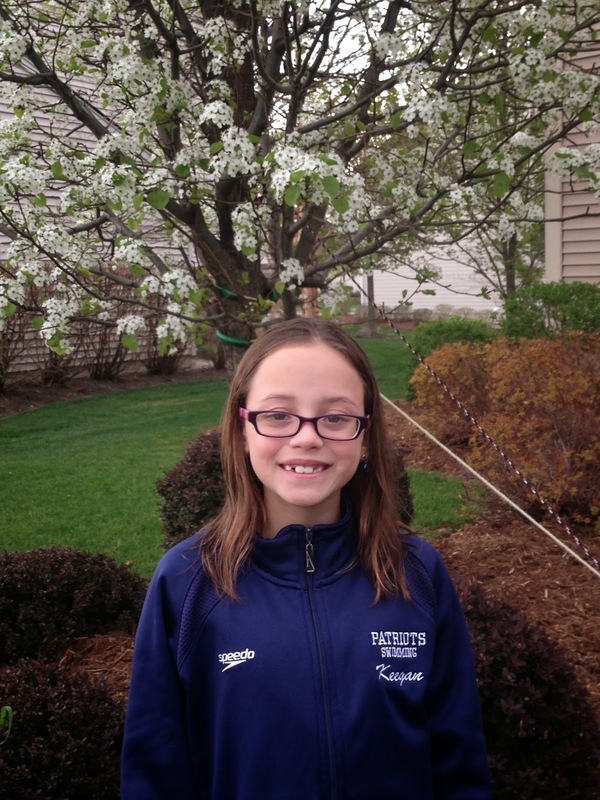 It wasn't until I read this post by Leigh Anne Eck that I moved it up! 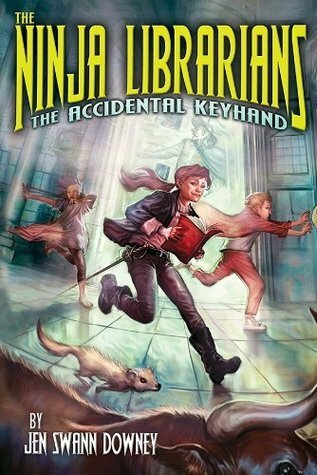 I agreed with her first few words - I am always searching books for our 4th grade readers, but is seems that so often a book that I love has something in it that makes it questionable. For many kids, it's ok, I can still pass it along. But this book does everything just right. I can pass it along and book talk it as much as I want! This book has so many underlying themes, I think it would be great to use whole class, small group or just with individual readers. So much to talk about - when does having an opinion go too far? This book is about hope, about what is right and wrong, about friendship and forgiveness. Loved it. My favorite line: pg. 36 "Courage... can sometimes be like when you're dying for a peanut butter and jelly sandwich, but there's only a skiff of peanut butter left on the side of the jar, and no matter how much you scrape, you begin to wonder if you'll ever get enough on your knife to cover an entire slice of bread." Yup, a book for me. I've enjoyed many books by Giffin. We'll see on this one. I've already guessed where this book is going and I'm not sure I'll like it. Celebration #1 - It's Memorial Day weekend! I want to first celebrate my cousin, Kevin, who has recently returned from a tour of duty. I never want to take for granted the freedom I experience everyday of my life. Thank you to all the people who serve, as well as their families! I have some plans for this long weekend, but not tons, which means lots of reading time! I even have an adult book checked out from the library ready to enjoy. I'm sure there will be little things that pop up over the weekend, but I'm really looking forward to some down time, as well! Celebration #2 - I am thankful for my colleague, Laura. We have gone on such a journey together this year. We've had highs and lows and have learned so much. We sat down together today and hashed out some plans for next year. We are attempting some new things (again) next year and I'm thankful she not only listens to my ideas, but always adds another perspective and talks through things with me. I know I inundate her with my research and she's always patient with me and helps me think through these ideas and see things through. Celebration #3 - my fancy nails. For some people this would be a silly celebration. 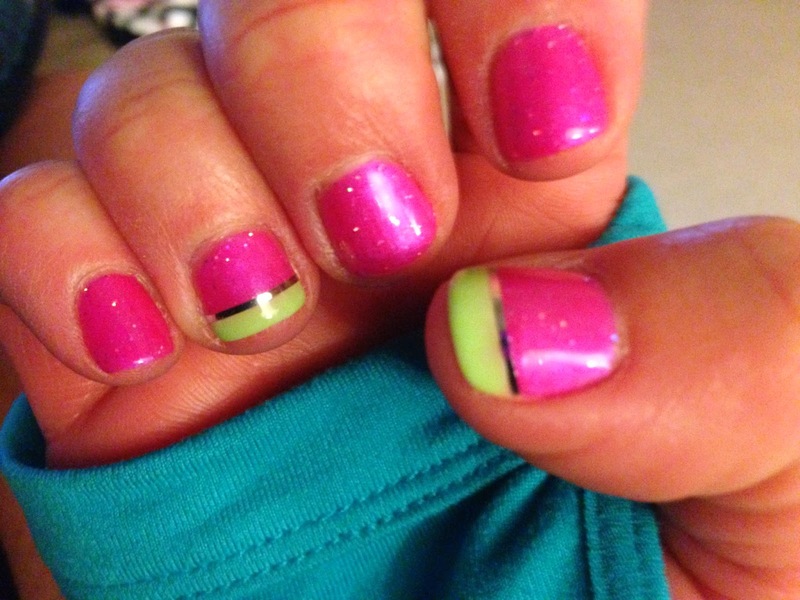 But I look at my nails and see the fun design my friend does and I smile. I have been with my nail tech for 13 years. We've become friends and I love our chats. She's moving out of state soon so I'm going to celebrate my nails and what she does for my spirit! Enjoy a fantastic Memorial Day weekend with family and friends! I began blogging in January and started participating in #nfpb2014 from the beginning of my blog. My goal was to read more nonfiction this year because of Illinois' adaptations of the common core. With the adaptation of the Next Generation Science Standards, being well versed in picture books has become a necessity. Here are some books I've read over the past 5 months that will be great to use with our new science standards. I'm looking forward to finding many more! Very interesting book on the adaptations of different turtle species in order to survive their surroundings. Love this book to see the value of the different feathers for different bird species. Love this book! Students will pour over it and you'll be amazed at the quality of conversation! How animals survive the winter climate! Not an informational text, but just an awesome book to use when talking about adaptations. I would love to use this book and have students design a bird for a particular climate, location, etc. Perfect to discuss changes in daylight depending on the season. Although these books are fiction, I think they still have a place in your science units. Not to teach, but to enhance. Especially for young learners! Great informational text that tells its facts through verse. Have you found any books to use with the new science standards? 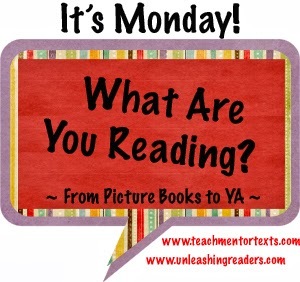 Mondays are so hard but I do love Mondays to see what everyone is reading! Thank you for posting, it makes my Monday! Do you do a friendship unit? Or maybe need mentor texts for central message or theme? Add this book to your collection! Sometimes you find friends when you least expect it. My Goodreads review: Greg Pizzoli is a master at early readers literacy. He does what so few can. He writes about what kids understand - whether its swallowing a watermelon seed or wanting to be #1 - but does so in simple text. He can convey what kids are thinking and doing in an easy and accessible language. Love passing these along to young readers! This book is such a win - text by Joy Cowley and photos by Nic Bishop. Perfect nonfiction text for young learners. Thanks to Carrie Gelson for introducing this book to me! Attention 1st gr CCSS teachers - this book will be perfect for the Next Generation Science Standards! Thank you to Alyson Beecher for first talking about this book! Simple text, yet it introduces important vocabulary in a fun way. I love that Doreen Cronin has taken her snarky characters from The Trouble with Chickens series and put them in a chapter book series for younger readers. This series is going to be perfect for 1st and 2nd graders. My favorite line is when the squirrel who is terrified of something big and scary and the chick (I think it was Dirt) says, "Lots of things are big and scary. My mom is big and scary." Funny. Wow. Wow. Wow. This book was so amazing. Why the 4 stars? There were just a few spots that dropped my interest. Mostly in the beginning and very few and far in between. Once you get the 1/2 way mark, it's very very difficult to put down. My Goodreads summary: Wow. Great writing, great story. I'm still thinking about this one. The book starts fast and quickly gets into the heart of the story. From time to time, I felt a lull in the book (this could be the times that I was reading before bed and couldn't keep my eyes open). It wouldn't last long, but I noticed my attention fading just a bit. Once you reach halfway, it was hard to put the book down. The writing was fantastic and many reviewers before me have given many examples. With this being a "slim" book, there is a slight misconception as to who this book is for. I think the writing and content is advanced enough that I would put it in the hands of fifth graders and above. A mature fourth grader would probably do fine with it as well. There are references in the story to Beowolf and while I read it (or maybe it was an excerpt) in high school, I don't remember much about it. When I read the reviews of other people, I think it enhanced their understanding of the story, but I didn't feel my forgetting about it detracted anything. And since I'm pretty sure most middle school readers do not have much background on the story, they should be ok! This is the second Hurwitz novel I've read this past month and I really enjoy her writing. I think her target audience is definitely more for girls and I think that audience will really like the characters in her books. She also sneaks a message in there that is a positive one for girls. This one is it's ok to be yourself; don't try to make yourself into someone you're not. Love it! Can't wait to see what you read! Short but sweet celebration this week. We've finally had some spring weather. We hit upper 80s a couple of times now. But in true Chicago spring weather fashion, we actually saw snow today. My computer says it's 45 degrees right now and I have a weather alert because we might have frost tonight! But, spring has sprung, even with a touch of snow. I'm celebrating the return of spring around our house this week! I picked up this book last October, but finally got around to reading it now since summer is coming up! I enjoy this series of books. They are short and sweet. The first half of the book is grounded in research. The second half is the "do this" half. As with other books in this series, they are short, which means content is short. With our severe lack of time, short and sweet can be great. But sometimes you wish there was more there. I always want a little more info! 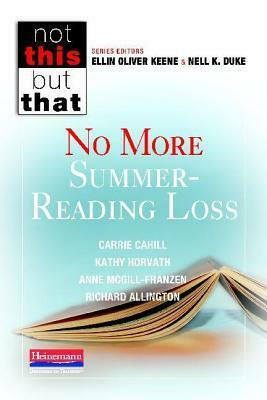 Summer reading loss is a topic that I think all teachers have concerns about. It's very easy for us to say that it's out of our control and there is nothing we can do once our students leave the school building. That's true to an extent. But how much time and effort we put into this issue is really up to us. I think one of the main points to this book is that we have to be doing what we can all school year long to ensure that summer reading happens. The authors state, "the lack of student reading during the summer is actually a reflection of how well we have taught them to be independent readers during the school year." I believe this is true. If students spend almost all of their time having books chosen for them and then having a teacher guide them through the book, then students are not trying things on their own. They are not learning how to get themselves through a frustrating part or moment. They are not learning how to go through a library of books and learn what they like vs what they don't like. They are always being told what to learn or research instead of reading to learn to find out answers to their own questions. They aren't given time to talk to other students about their reading and converse in book talk. That's our job during the school year. If we accomplish it, then when a student does not have us next to them, they know how to continue this pattern on their own. I liked what the authors said, "if we've given students enough scaffolding to support independent reading during the school year, they're more likely to read on their own during the summer." There is a great chart on pages 45-47 that details teacher behaviors in reading practices and the resulting student behaviors. There is a portion spent talking about ensuring that all kids have books in their hands over the summer, including those coming from a low-socioeconomic status. Ideas are given on how to get books and be able to hand them out. 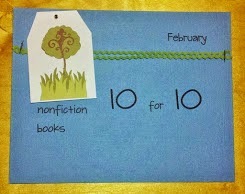 In the "do this" section there are many ideas that you can use to encourage student reading. I didn't see any ground-breaking ideas, most were some version of something I've seen before. But it got my mind churning and thinking, which is always good too! I've been in classrooms where book talking and the idea of reading is something we do in our lives has been shown to the students daily. I think this final quote from the book is so true, "if, during the school year, students can learn that reading is joyful, that it can be a tool to express and develop their identity and something they can get better at, then they'll keep doing it during the summer." 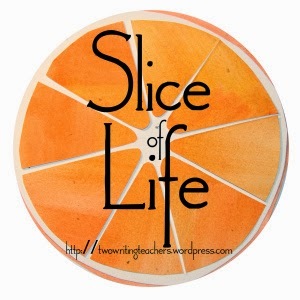 I am so grateful to be participating in this weekly link-up. It has really increased my informational text reading this year. As a result, I've found 3 different animal series that meet different reading levels. Each offers something unique, yet they all have rich text and amazing photography. What it's good for: Great for in-depth research on an animal or topic. Has a great index, so a reader could also look for specific information. These books are wonderful for someone who has an interest in the topic, but can be overwhelming for someone who just wants a little information. What it's good for: Gives overall information about an animal. Organized into chapters so can be read as a whole or in parts. Includes an in depth index to look for specific information. Amazing photographs. Great text features. Includes additional information about what young kids can do to help the animals and how to find them. What it's good for: Gives basic information about an animal but is told and shown through photos about the animal living in its natural habitat. 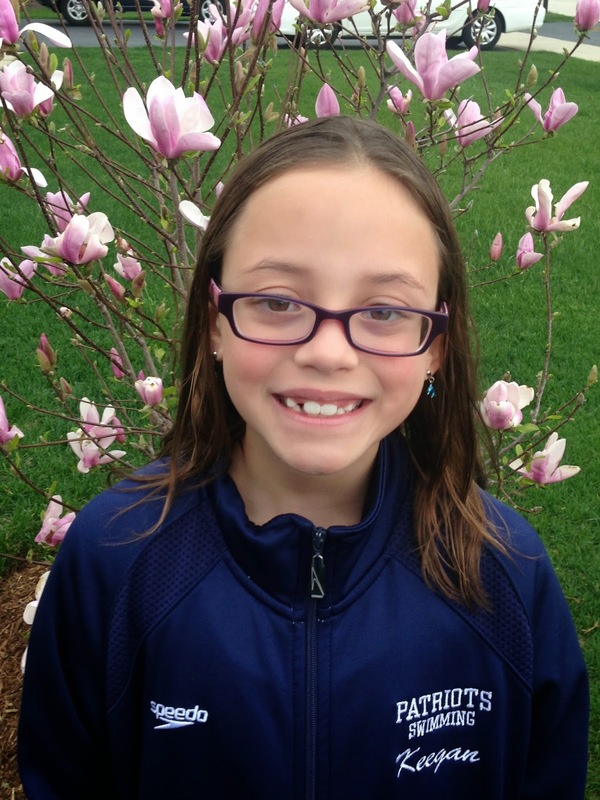 Narrative story that keeps a younger student's interest. Beautiful photographs. Try one of these great series out! All of them offer a lot for all readers. Are there any other animal series out there that you use?